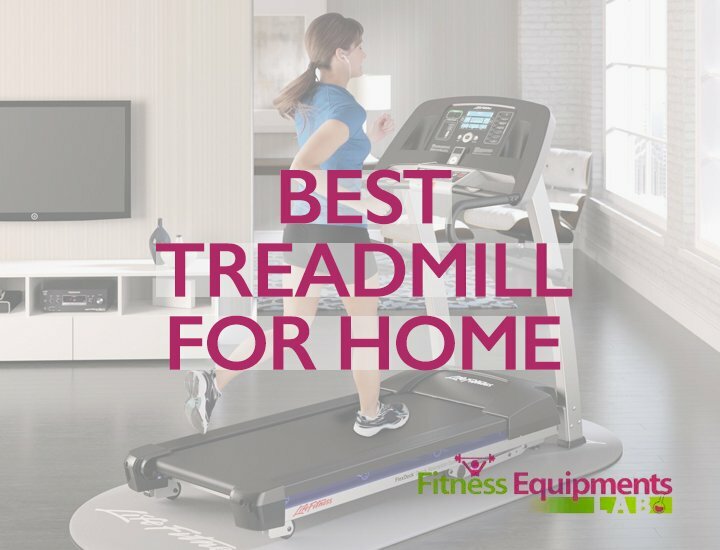 Having a treadmill at home is a trend that has exploded over the past few years. As the market for home models grows, you’ll find there are more options than ever to suit your individual space and fitness routines. And now that there are so many models on the market, competition has driven prices down to make these machines more affordable to you! On the downside, all the competing brands and models make for one confusing shopping experience for the average buyer. It’s difficult to tell the professional-grade options from the gimmicky models that can’t handle extended use or real workouts. Plus, with such a huge range of prices, consumers can be very lots as to how much they need to spend for quality equipment. This guide is here to help you out. We set our researchers to work to find the absolute best home treadmills on the market. We’ve compared dozens of models, looking at specs, features, reliability, and user-friendliness. You’ll find our full reviews of three great models below. Then, we’ll talk through everything you need to know to figure out which one is your ideal new workout station! The best-selling model currently available today is the Welso Cadence G 5.9. This model not only offers space-saving folding features, it also retails for less than $500. A smart investment for a budget conscious fitness enthusiast, the Welso Cadence G 5.9 is a great place to start your at home fitness. It’s extremely easy to fit into a busy household, and it won’t make a big dent in your bank account. What we really love about the Welso Cadence G 5.9 is that it has a user-focused track cushioning system. This feature helps to make your workout more comfortable by reducing joint stress. With each step you take, the Welso Cadence G 5.9 softens the often damaging impact of your running and jogging. It’s perfect for people who have joint pain, particularly in the knees, that may hinder their workouts. You won’t experience the soreness and pain that are so often problems when running on pavement or concrete. But there’s so much more to love about the Welso Treadmill than portability, price and cushioning. Let’s have a look at some of the other great aspects of this machine that users love! Easy Console Display: The Welso Cadence G 5.9 has a simple, user-friendly console. This console makes it simple to enjoy your workout and keep yourself on track with your goals. Instead of using complicated menus to change settings like incline and speed, these stats are right on the surface. Unlike many modern options, the Welso Cadence G 5.9 does not offer a large LCD screen. Instead, it has a simple display that provides all the basics, without any distracting extras. It’s perfect for folks who like to keep it simple while they work out. Pre-Loaded Workouts: For users who are unsure of how best to use their new machine, the Welso Cadence G 5.9 provides pre-loaded workouts. There are six workouts included, a good variety for most users. The workouts cover weight loss and intensity training, and are useful in providing variation and entertainment. Little features like this make it easy to love the user-friendly nature of the Welso Cadence G 5.9. Easy set-up: The Weslo comes pretty much completely assembled, and it’s so, so easy to get folded up and down. It’s great for people who aren’t necessarily in the best shape, and want something that’s not also a workout to set up! As with all machines, there are a few aspects of the Welso Cadence G 5.9 that may make it unsuitable for you as a specific buyer. The Welso Cadence G 5.9 has a weight limit of 250 pounds. This is somewhat lower than other models, and as such is not suitable for heavier body types. Be sure to check the stated capacity on any fitness equipment you buy, to make sure it’s rated for your height and weight! Despite this, it’s very budget friendly, easy to set up, and simple to use. With all this in mind, and with its excellent user ratings, it’s clear that the Welso Cadence G 5.9 is a perfect machine for newcomers to home fitness and casual users. Another popular model, the LifeSpan TR 1200i Folding is our top rated machine for people who run and walk at home regularly. The LifeSpan TR 1200i may be more expensive than the Weslo, but if provides a better experience that you’ll really appreciate with more time spent on it. Retailing at just under $1000, the LifeSpan TR 1200i offers deluxe features and build quality that users love. But its folding technology means it still won’t dominate a space. One of the things we most love about the LifeSpan TR 1200i Folding Treadmill is that it brings technology into your workout. While the Weslo machine is simple, the LifeSpan TR 1200i proves to be a more modern experience. The machine offers a built-in sound system, compatible with iPods, iPhones and Android music apps. This means you get access to all the music you love, right at your fingertips. Along with this the machine is able to store data about your workout for you to review later, and you can even create your own workout plans. But there’s more to love the LifeSpan TR 1200i. Let’s have a look at some other great benefits of this machine. Comfortable and Smooth: The LifeSpan TR 1200i offers a high-quality exercise experience. With a durable motor, and solid treadbelt, the machine is made to last. The motor is a powerful one, which means that users can have longer workouts without dealing with noise or stuttering. The treadbelt is on wide rollers, which makes it both durable and smooth to walk and jog on. Overall, it feels much surer and more reliable than the Weslo’s bed. Easy To Stay Motivated and On Track: The LifeSpan TR1200i makes it easy for users to stay dedicated to their fitness goals and keep pushing onward. It does this with a range of pre-loaded programs. These pre-loaded workouts allow users to test their limits, and maintain good variation in their workouts. The programs include two heart-rate control programs. LifeSpan also offers a digital fitness club membership (for an additional cost) that can be used in conjunction with this machine. With the membership, users can add extra workouts to their machine that are designed by professionals, and get personalized feedback on their routines. But nobody is claiming the LifeSpan TR 1200i Treadmill is a perfect machine. There are a few things that buyers should note. First, the LifeSpan TR 1200i is not a great choice for hard running if you’re on the taller side of things. The treadbelt is wide and quite long in comparison to other similar folding models. But, it may not provide enough room for the long stride of taller runners. For jogging and walking it is ideal for anyone. On the other hand, the LifeSpan TR 1200i has a high weight limit, of around 300 pounds. This makes it ideal for larger people looking to get fit from the comfort of their own home. The LifeSpan TR 1200i is a quality machine with a competitive price tag. Perfect for having in the home thanks to its space-saving features, this machine offers a modern exercise experience to users. If you’re looking for a machine with bells and whistles, this top rated model is a smart choice. For buyers on a budget, the Confidence Power Plus Motorized Electric is as good as it gets. It balances an affordable price-tag with a range of useful features. This has earned the Confidence Power Plus Motorized Electric our coveted award of Best On A Budget! Retailing for around $500, the Confidence Power Plus Motorized Electric is often available on sale for half the price! This makes it a clear choice for a budget conscious fitness enthusiast. It’s one of the least expensive machines you can buy that actually works well. What we love most about the Confidence Power Plus Motorized Electric is that it is suited to a smaller living space. Easy to pack up and store, the Confidence Power Plus Motorized Electric can fit out of the way in an apartment or smaller condo when not in use. Along with that, the machine is simple to fold up, and has wheels placed to help in moving it aside. Of course there’s more to love about the Confidence Power Plus Motorized Electric. Let’s have a look at those features now. Big Screen: The Confidence Power Plus Motorized Electric has a large screen that helps users keep track of their workout as it happens. The user interface is simple in design, matching the simple features of this machine. However, it offers a range of helpful information including distance travelled, time, calories and speed. These are the numbers that help users to track their progress and fitness. It feels a lot more deluxe than it costs. Easy to Assemble: The Confidence Fitness Treadmill may not be the most modern, but it is user-friendly. This is certainly true when it comes to assembling the machine. One fact that users have consistently noted is the Confidence Power Plus Motorized Electric is a breeze to assemble. Arriving in an almost completed state, users need only take care of a few small things before it is ready to be used. What buyers need to remember about the Confidence Power Plus Motorized Electric is that as a budget machine. This means that it won’t meet the same level of quality as more expensive machines. For general use the Confidence Power Plus Motorized Electric is a stunning example of value. But it does not suit regular running. For heavier users, and those interested in running for fitness, the Confidence Power Plus Motorized Electric is also not suited. It will not be able to provide a good level of stability and smooth movement. For casual walkers and joggers who aren’t on the heavier side, it’s a very decent affordable choice. The Confidence Power Plus Motorized Electric Treadmill is ideal if you’re just looking for something small that will allow you to maintain a regular exercise regime. This cheap treadmill option offers all the basic features, at a basic cost that almost anyone can afford. Just don’t expect it to get you marathon-fit. There are five pretty basic things that most buyers will need to consider when they go out to buy the best machine for home use. Considering each of these factors in depth before you commit to purchasing a machine will be a lifesaver when it comes to making a decision! Then, you can go back to our detailed reviews to see which model best matches your personal criteria. When you find the perfect one you’ve been looking for, you’ll enjoy using the features that suit your specific lifestyle, and help you make the most of your workout. Not everyone wants all the bells and whistles on their product. But, it pays to research the kinds of features that you definitely want, and the features you aren’t really interested in. Your preferred features will depend on your own fitness style. They may include built-in sound systems, pre-loaded workouts, iFit compatibility, a tablet stand, or chest-strap heart monitoring. Whatever they are, being aware of them will help you in narrowing down your buying choices. All at home treadmills (and indeed all machines) have a weight limit. One theory is that users should subtract 30 – 50 pounds of that weight limit for optimum machine stability. If you’re pushing the weight limit, you could be at risk of damaging both your machine and yourself. Machines that aren’t stable due to excessive pressure being put on them from a heavy user will not perform as they should. If you’re of a heavier body type, it pays to invest in one that is going to work for you. So, be sure to check the weight limit before you shop! Not everyone has a wealth of floor space in their home to fit a bulky machine. This is an important consideration when shopping for one, as some models are large, have big footprints, and are difficult to move. If you’re short on space you’d be better off getting a folding option. However, when you shop make sure you look at the weight of the folded machine, and whether there are wheels. These are all factors in moving it from one place to another. Just remember, the smaller your machine, the less space you’ll have for each stride! This is not going to be the cheapest thing you buy this year, so you want to make sure it lasts. With so many moving parts, and so many possible issues, it’s usually worthwhile to get a warranty that covers the frame and the motor. These will be the biggest issues to fix, and should be covered by an extended or lifetime warranty. For parts and service, a year is usually long enough to ensure there are no manufacturer related issues with your machine. Additional thought should go into maintaining your treadmill to help extend the life. See a helpful video on the subject here. For most buyers, cost is the significant factor in their purchasing decision. Each buyer will have their own idea about how much money they are interested in spending. They will also have an idea of what product they expect to get for that money. Now, excluding products that are on special, buyers should be aware that you really do get what you pay for. The amount of money you’re able to spend will ultimately decide how picky you can be, and what you can expect your new machine to offer. ProForm is a well-known and trusted brand when it comes to commercial fitness equipment. So it is no surprise that many buyers choose a ProForm for their home setup! Having been a leader in the world of exercise equipment for more than 30 years, ProForm’s products are some of the best. One of the best models currently available in the ProForm range is the ProForm 505 CST. This machine is a best-selling model that has been consistently highly rated by buyers and users. It offers useful features like a powerful motor and large treadbelt, which makes the machine silent and smooth to use. There’s also a simplified control panel and large backlit display for ease of use. Users will find that the ProForm 505 CST offers a range of modern conveniences. These include fifteen pre-loaded workouts, and a built-in sound system that works with both iPod and MP3. Along with all of this, the ProForm 505 CST is a foldable design. This allows it to be collapsed vertically for simple, space-saving storage. Retailing at under $1,000 the ProForm 505 CST is a high-quality machine that users will find easy to use. It represents the best of the ProForm collection, and is worth investing in. You can read more about the specific features of this ProForm and the other top choices that ProForm offers in our ProForm Guide. The guide showcases the best models in the ProForm line-up, to help you decided which model from this great brand may be right for you. 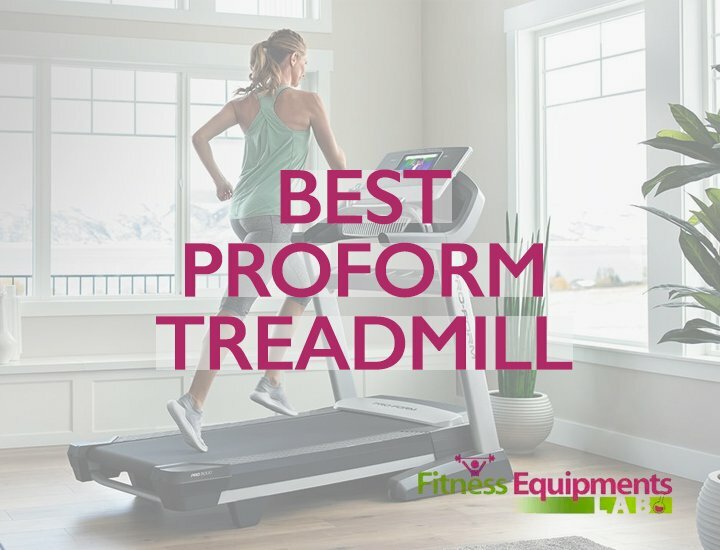 Read more about ProForm Treadmill Reviews. The LifeSpan TR1200-DT5 is an ideal machine for users wanting to work and walk at the same time. This format has been growing in popularity of late, with more at-home workers preferring to focus on fitness as well as work and stay active during office hours. 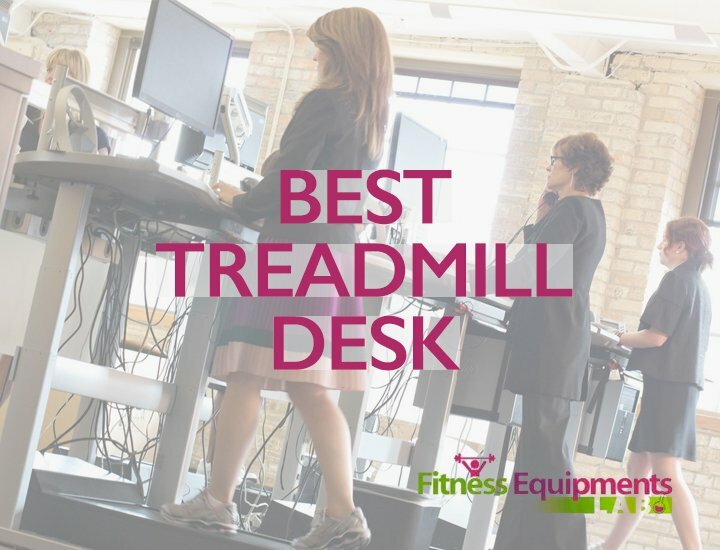 The LifeSpan TR1200-DT5 – Treadmill Desk is the perfect one to use in this regard. With a strong worktop and a range of standard features, it is the best of both worlds. Users will love the endurance of the motor, which allows for up to 6 hours of use at a time without issue. They will also appreciate the large workspace and the simple console. Both make it easier to work, and track your workout, throughout the day. The LifeSpan TR 1200i is a popular model, and was our overall top rated machine for this guide. It also happens to be the best one available for running. The reason for this is that the LifeSpan TR 1200i offers a long and wide treadbelt. This means there is plenty of room for most people to stretch out and get a good stride going on their machine. Along with this the LifeSpan TR 1200i offers a powerful motor, which also helps in making it a machine for runners. This motor keeps the treadbelt running smoothly, and combats stuttering during setting changes. However, although this is a great machine for running, the LifeSpan TR 1200i is not suitable for taller runners. It will work well for tall joggers, but although the treadbelt is long there may not be space for the longer strides of a taller runner. The Welso Cadence G 5.9 was actually one of the best selling models overall, and a full review of this great machine is available at the top of this guide. As a folding model, the Welso Cadence G 5.9 is a great choice. Its space saving features mean that users are getting a quality product, without sacrificing on their personal space. The feature that we love most about the Weslo Cadence G 5.9 is its space-saving ability, which is why it’s the obvious choice for a folding machine. This machine is a breeze to pack up and move out of the way when not in use. At the same time, it is simple to set up and get exercising in a short time. As a folding option, it also happens to be affordable (especially considering those features) with a retail price of around $500. 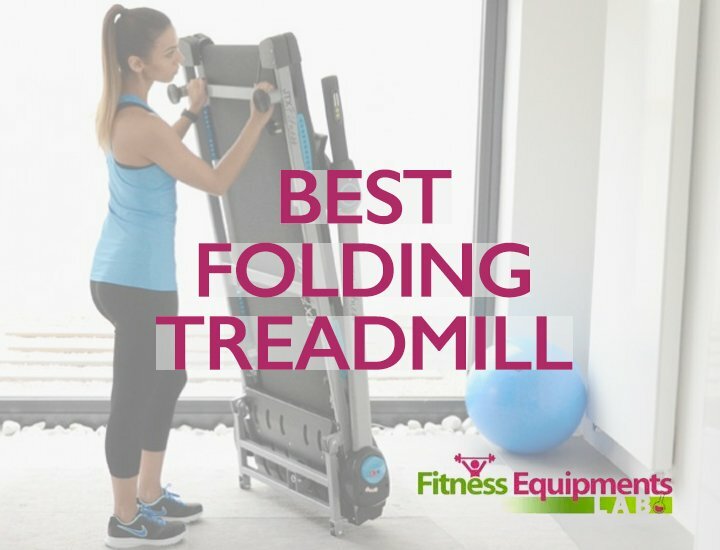 You can read more about this one, and other similar folding models, in our Best Folding Treadmills reviews. The Lifespan TR 1200i isn’t just one of the top three models in this guide. It’s also one of the best that you can get for less than $1000. With a top rated reputation, there’s lots to love about the Lifespan TR 1200i. One thing that we’re definitely loving is that, for the price, the Lifespan TR 1200i offers a high end exercise experience. With pre-loaded workout programs, a built-in sound system, and a durable motor and treadbelt, users will enjoy using it for years. Certainly, the Lifespan TR 1200i is a perfect example of just how much quality users can expect from a model at this price range. You can see a full review of the Lifespan TR 1200i at the top of this guide. For the budget savvy shopper, the Weslo Cadence G 5.9 is an amazing machine, very much worth the mere $500 you will pay for it. Rated in the top three machines overall in this guide, the Weslo Cadence G 5.9 is the best selling machine currently available. With a price tag of just $500, you may be expecting a lower quality of machine. But you would be wrong. The Weslo Cadence G 5.9 offers a good range of useful features. These include pre-loaded workouts, an easy-to-read console display and track cushioning. These are presented simply, but effectively, in this affordable model. The Horizon T101 models have always had a reputation as being ideal for walking and light jogging. This has made them popular in the home with light, but regular users, and seen a number of models released. The best of these by far is the Horizon Fitness T101-04. 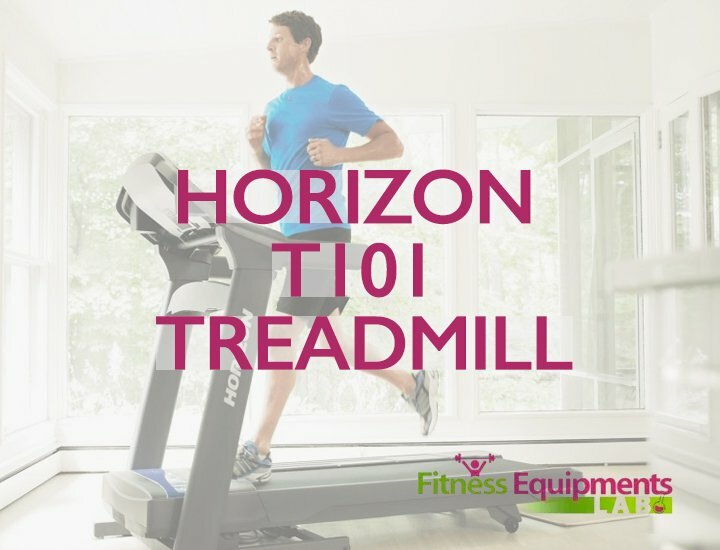 The Horizon T101 Treadmill retails for less than $700. This makes it one of the more affordable models on the market. Despite this, the machine offers a high level of quality. Users will love the quiet motor, the wide variety of pre-loaded workout programs, and the built in sound system. The machine itself also offers track cushioning for a more comfortable workout. The Horizon Fitness T101-04 is even a folding model, bringing it well and truly into our favorites for this particular brand. 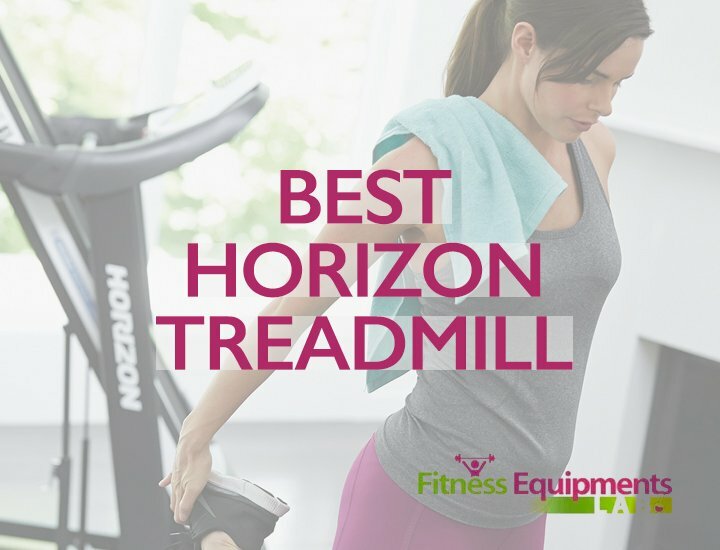 See more Horizon Treadmill Reviews. The Phoenix 98510 Easy-Up Manual is cheap and does the job. If you aren’t looking for a machine with all the bells and whistles, then this one is the machine for you. This manual machine breaks down the fitness machines to its most basic features. Powered by the user, the Phoenix 98510 Easy-Up Manual Treadmill has a large flybelt for quiet and smooth operation. Users will find it easy to set their own pace, and enjoy a simple workout from home. Despite the machine’s simplicity, the Phoenix 98510 Easy-Up offers a console display with useful details. From here users can track their speed, distance, time and calories. This is also the perfect machine for the home, with the ability to completely fold for easy storage. 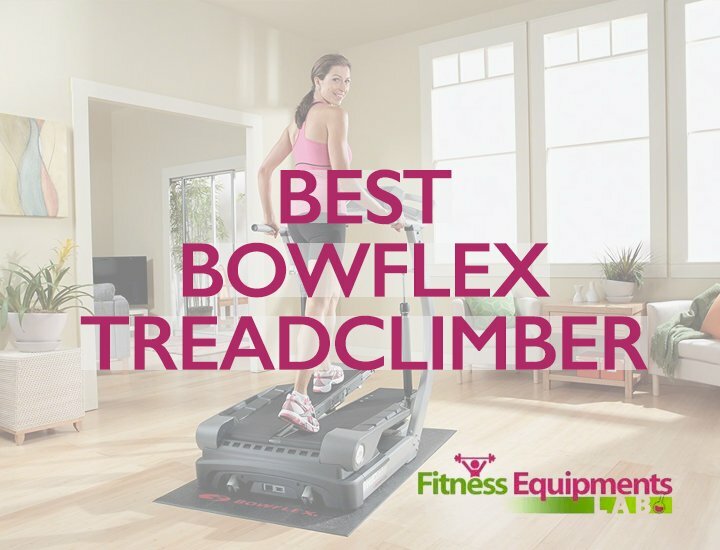 The Bowflex TreadClimber brings together the best of a treadmill, elliptical and stair climber. This hybrid machine can help you reach your fitness goals faster. With the ability to burn 3.5 times more calories in 30 minutes than the average model, it’s easy to see why its popular. The Bowflex TreadClimber TC10 is something of an expensive model compared to other models. It retails at over $2000. But what shoppers should remember is this isn’t really a treadmill at all. Indeed, compared to other treadclimbers it is competitively priced. One thing that users will love about the Bowflex TreadClimber TC10 is its ability to mould and shape your legs as you work out. The Bowflex TreadClimber TC10 brings together the aerobic effects of the treadmill with the sculpting effects of a stair climber and elliptical. In addition to that the Bowflex TreadClimber workout is low-impact. This makes it ideal for people not in the peak of their fitness. You can learn more about the Bowflex TreadClimber TC10, and others at our WalkTC/Bowflex treadmill reviews page. The Weslo Cadence G 5.9 is a winning machine by any standard. As well as being rated as one of our top three machines overall, this best selling model is a top performer when it comes to incline. Offering a two position manual incline, users will find the Weslo Cadence G 5.9 provides enough incline for most beginners. Instead of complicated and motor powered inclines, the Weslo Cadence G 5.9 has a simple manual incline. Adjusting it is as simple as moving the legs on the back. Incline provides necessary variation in an average workout, and the Weslo Cadence G 5.9 is more than enough for most. 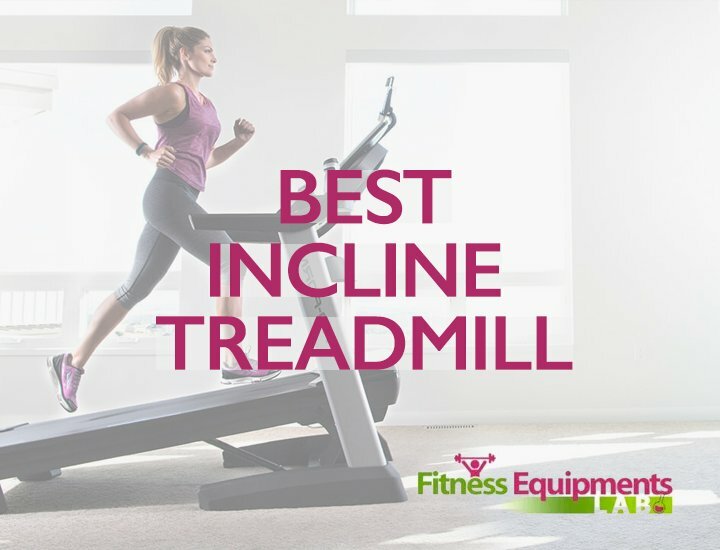 Find more at our best incline treadmill reviews page. After reading this guide, we hope that you’re feeling more confident about your own needs. We also hope you’re more in the know about what is currently available in the treadmill market. However, if after reading this guide you still aren’t sure, there are other things to consider. Treadmills are far from the only fitness machines that are suited for at home use. There are a wide range of other machines that users find suit their own style better than treadmills. You might consider investing in an elliptical machine, rowing machine, or exercise bike. All of these options come with their own unique benefits, and are certainly worth considering.